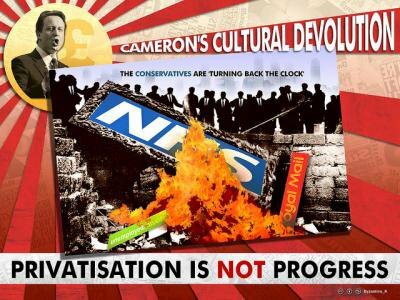 By the time the Berlin Wall fell, privatisation was in full swing. With the “Harvard Boys” providing the tutelage, the former Soviet Union saw a bonanza of primitive accumulation as state assets were distributed among a gangster-capitalist nomenklatura and new billionaires minted virtually overnight. A disaster for Russia, the effects are visible today in London property values and ownership of the Premier League, with the UK increasingly a playground for Russian oligarchs. (Vladimir Putin has been unwinding some of this via a rolling programme of re-nationalisation, especially in the energy sector). For an even more direct contrast in attitudes, take the saga of the United States Postal Service (USPS). Interested in both eliminating a low-cost public competitor and facilitating the massive transfer of valuable real estate to private hands, U.S. corporate interests, including FedEx and UPS, have had the post office in their crosshairs for years. In keeping with this, Congress has repeatedly crippled efforts by USPS to remain economically viable. In 2006, the Postal Accountability and Enhancement Act forced USPS to pre-fund 75 years of potential future retiree benefits in just ten years – a whopping $103 billion a year. Renowned consumer advocate Ralph Nader called the plan “something that no other government or private corporation is required to do … an incredibly unreasonable burden.” According to Nader’s calculations, without the pre-payment obligation USPS would likely be profitable. Furthermore, Congress has repeatedly stymied attempts by USPS to rectify its financial situation by cost-saving measures or changes in services. Part of the problem is a legacy of misunderstanding surrounding the experience of public ownership in the UK. In implementing the Labour government’s nationalisation programme after 1945, Herbert Morrison strongly favoured the model of top-down centralised public corporations at arm’s length from democratic control. This foreclosed the possibility of more participatory forms while supplanting older and more varied traditions of municipal and cooperative ownership. Moreover, the newly nationalised industries, many of which had been lossmaking when in private hands, faced serious restrictions, including limits on borrowing and artificially low pricing of their outputs. Far from being a drain on the economy they actually subsidised the private sector.